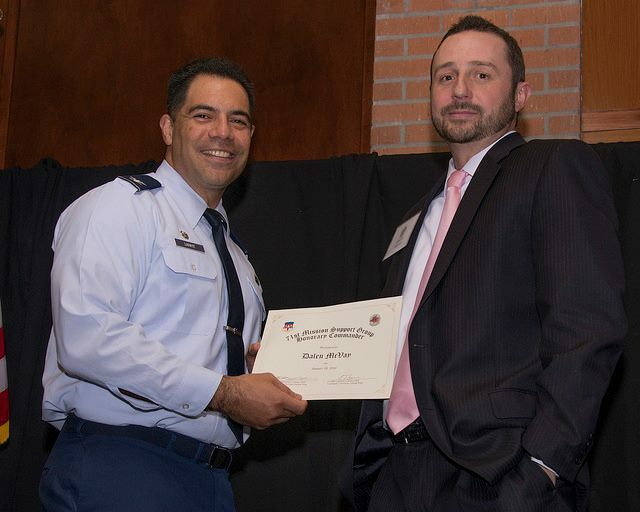 Ewbank, Hennigh & McVay, PLLC is proud to recognize Dalen McVay as having been named an Honorary Commander at Vance Force Base. Dalen is the second member of EHM to serve in this capacity, as Kaleb Hennigh has also had the distinction of serving in this role. We continuously strive to take an active part in community affairs, and it’s nice to be recognized from time to time for trying to better the community. The Honorary Commanders Program is designed to provide key community partners a behind-the-scenes look at Vance. Dalen will be assigned to a squadron for a one year term and will have the opportunity to experience firsthand the various aspects of the mission at Vance Air Force Base through tours and events. Administration at Vance AFB believes that actively integrating community leaders into the Air Force family builds strong relationships vital to the successful partnership between base and community.